Want to visit New York City but don’t have a lot of money? Fuhgeddaboudit! You don’t need a lot of money. Despite what people think, it is possible to experience NYC on a budget. There are a lot of things to do and see that cost little to no money at all. Here’s a list of just some of them to help you get an idea. 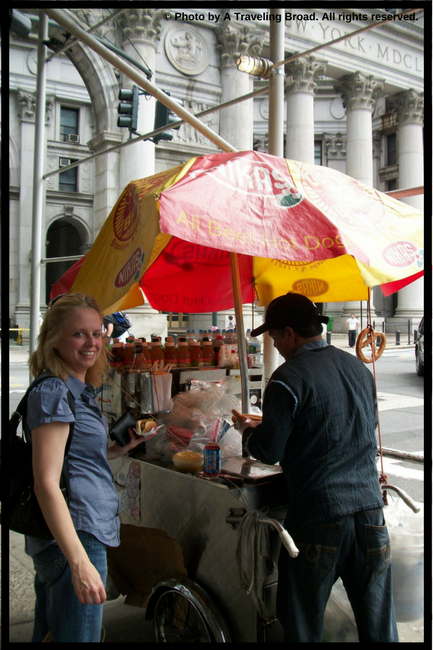 Hot dog stands can be found all over NYC, especially in popular tourist spots. A piece of pizza costs as little as $0.99 a slice at some pizza places. (The price is small but the taste is big!) Bagels are also very New York and can be found at diners and bagel places throughout the city. 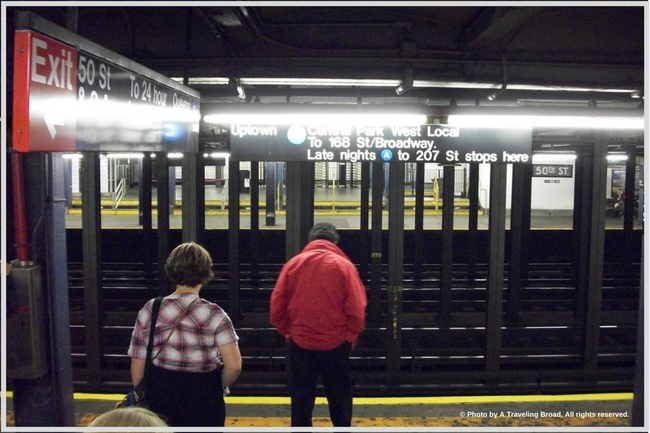 The New York subway system is very affordable and runs all over Manhattan as well as into the Bronx, Brooklyn, and Queens. You can also ride the subway in Staten Island (but not to Staten Island from the city). You can check out the subway maps in the subway stations and/or download one of the many available subway apps to help you navigate the city. Note: The NYC subway runs on different schedules during the week and on the the weekend. 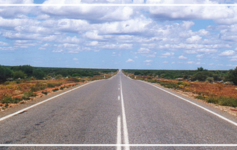 On weekends and late nights, some of the routes change so be sure to check that ahead of time. 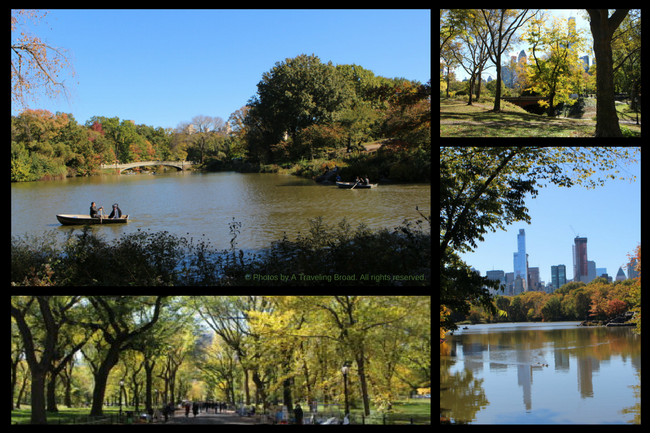 You can’t visit New York City without taking a walk through Central Park. This sprawling park was designed by Frederick Law Olmsted (the same man who designed the U.S. Capitol in Washington, DC and The Biltmore Estate in Asheville, North Carolina). Central Park is 2.5 miles (4 km) long between 59th Street (Central Park South) and 110th Street (Central Park North) and is 0.5 miles (0.8 km) wide between Fifth Avenue and Central Park West. Central Park boasts several popular spots (many of which have been featured in motion pictures) such as The Boat House Restaurant, The Boat Pond (where people sail remote-controlled and simple model boats), Bethesda Terrace and Bethesda Fountain, Sheep Meadow, The Mall, The Lake and Bow Bridge, and Belvedere Castle. 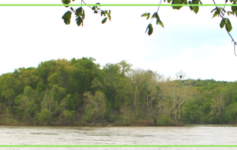 The variety of activities enjoyed at the park is as varied as the people who visit or hang out there. 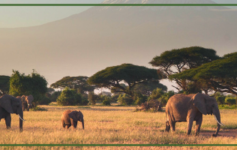 You’ll see people strolling through (my favorite), playing sports (softball, baseball, kickball) or frisbee, bike riding, sitting on a bench reading or people-watching, picnics, or simply enjoying some down-time from the hectic pace of the city. You may also see vendors selling art or buskers singing alone or with a group for tips. 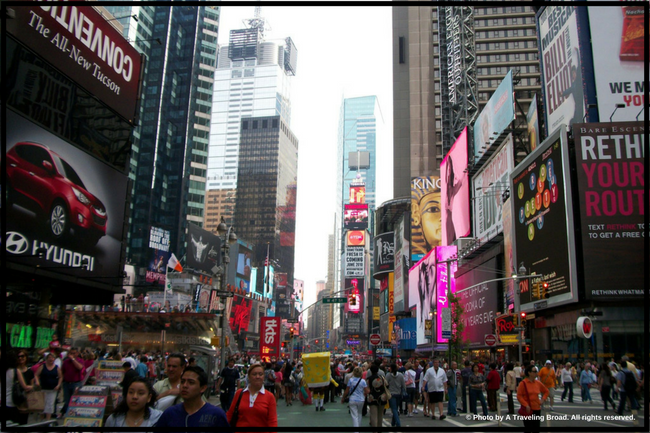 Times Square is the perfect spot to check out the wide variety of people who live in and visit NYC. At the junction of Broadway and Seventh Avenue, Times Square stretches from West 42nd to West 47th Streets. Its in the heart of the theater district and offers shops, restaurants, and lots to see. At any given time, you may see people dressed up as the Statue of Liberty, SpongeBob Squarepants and other popular character so tourists will pay them to get photos taken with them (usually $5 will get you a photo). The Naked Cowboy is also a popular attraction (he’s not actually naked, though). At night, you may see acrobatic or gymnastic performances. The best part is: you just never know! Built through contributions from the poor and rich alike, St. Patrick’s Cathedral’s cornerstone was laid in 1858 and the doors finally opened in 1879. 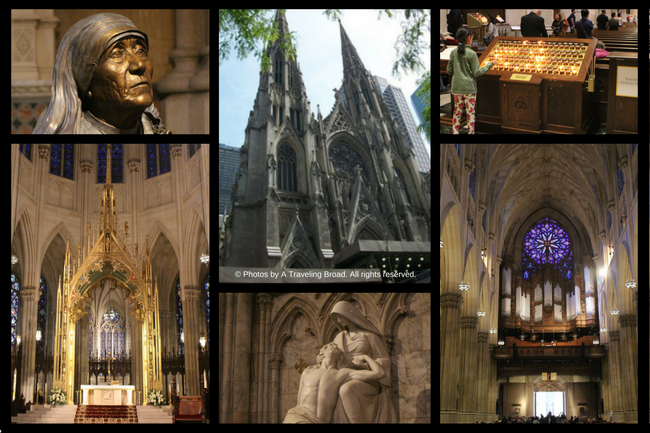 One of the most well-known Gothic Cathedral’s in the world, St. Patrick’s welcomes visitors from around the globe daily. While the exterior is beautiful, the interior is ornate and is gorgeous from every angle. You can attend a mass, explore the cathedral on your own (a free tour app is available on iTunes and Google Play), or take a guided tour. 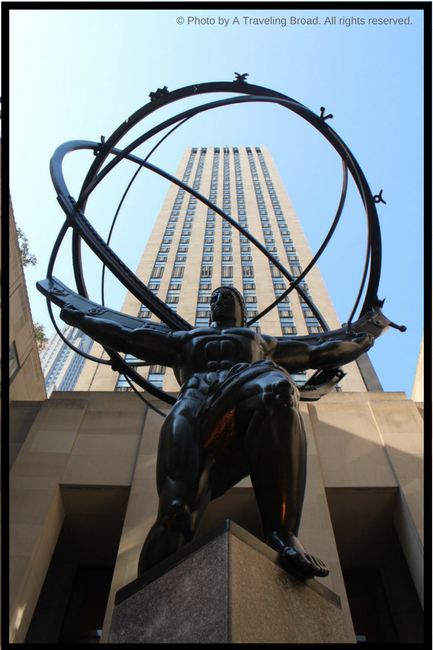 This iconic sculpture is one of the most photographed sculptures in New York City. 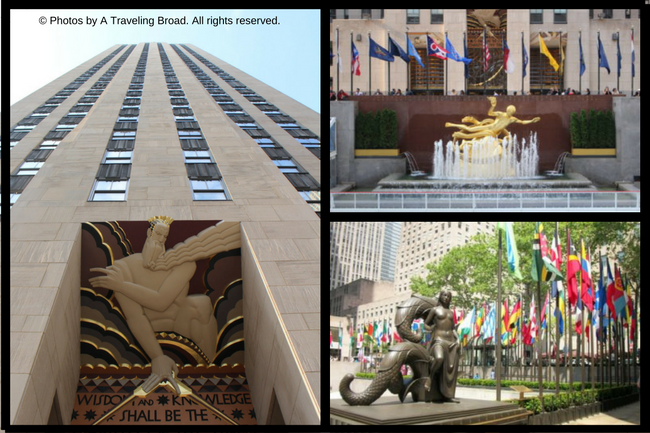 It’s located directly across the street from St. Patrick’s Cathedral. This area is probably most well-known for the ice skating rink and the giant Christmas tree. Founded in 1766, St. Paul’s Chapel celebrated its 250th anniversary in 2016. It is also part of the Trinity Wall Street parish. It’s open to visitors daily and hosts community events, concerts, and art exhibitions. George Washington prayed here after his inauguration as President in 1789. 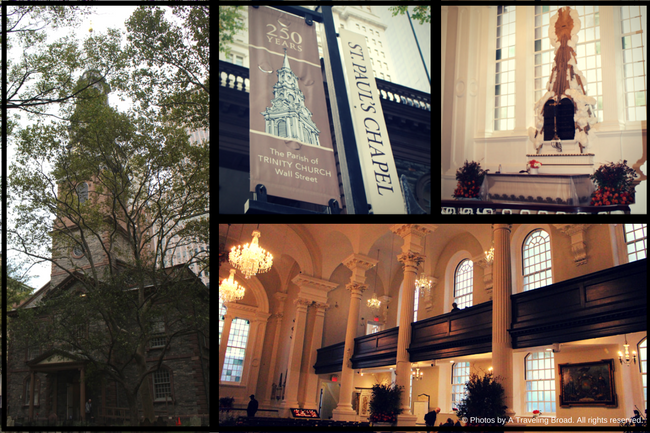 Although it is directly across from the World Trade Center complex, St. Paul’s Chapel was not damaged at all during the terrorist attacks on September 11, 2001, earning it the nickname “the little chapel that stood.” After September 11, 2001, St. Paul’s became the site of an extraordinary, round-the-clock relief ministry to rescue and recovery workers for nine months. This state-of-the-art World Trade Center Transportation Hub was completed in 2016 and serves 250,000 commuters daily. 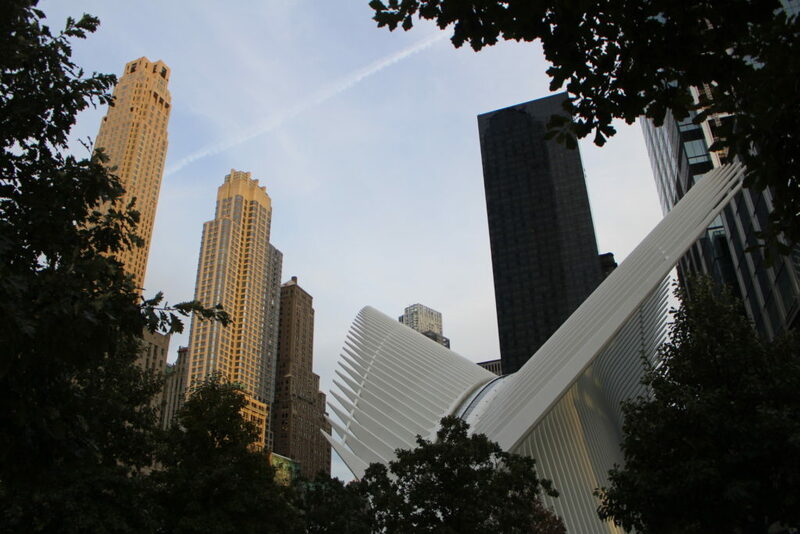 It replaces the train station that was destroyed during the 9/11 terrorist attacks. 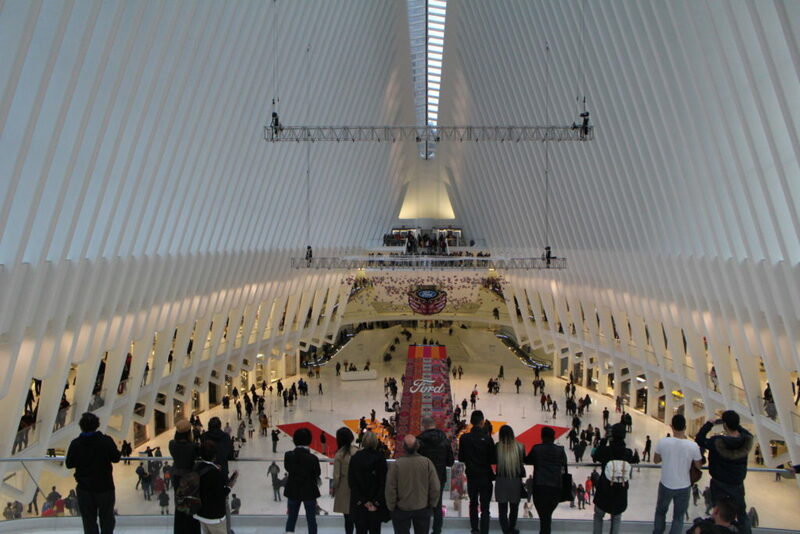 The “Oculus” serves as the centerpiece of the World Trade Center Transportation Hub and features 78,000 square feet of multi level state-of-the-art retail and dining. The unique design is supposed to resemble a winged dove in flight. The 9/11 Memorial was dedicated on the 10th anniversary of the terrorist attacks. The memorial covers half of the 16-acre site. The names of every person who died in the terrorist attacks of February 26, 1993 and September 11, 2001 are inscribed in bronze around the twin memorial pools. The design features two waterfalls and reflecting pools set in former site of the Twin Towers. More than 400 trees surround the reflecting pools, making the plaza both eco-friendly and a peaceful spot for contemplation. 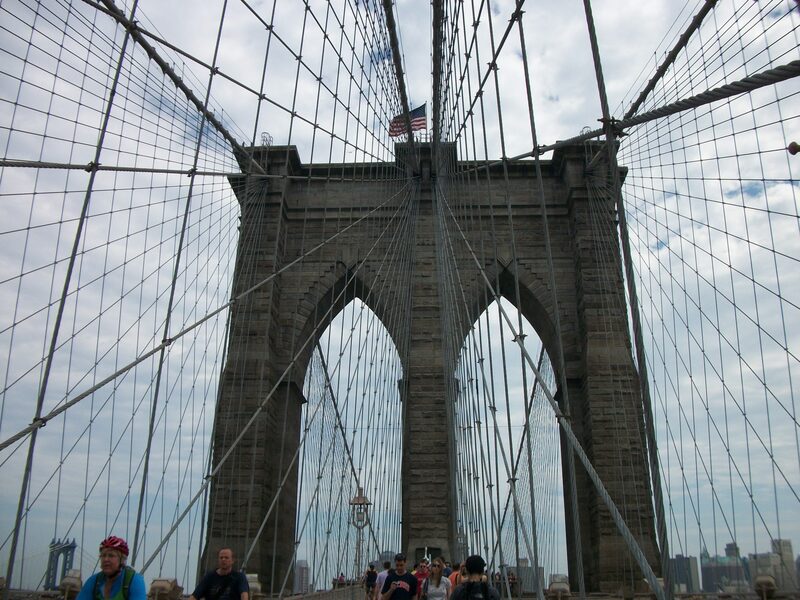 Walking across the Brooklyn Bridge is one of the most popular activities of visitors to the Big Apple. The bridge is located in downtown Manhattan near City Hall and is open 24 hours a day. 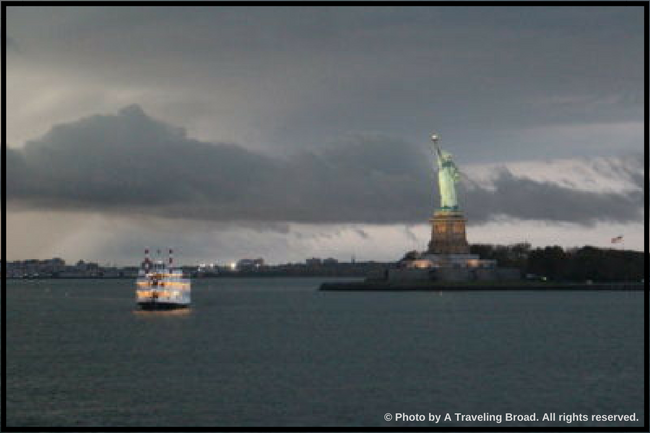 From the bridge, visitors get beautiful views of Manhattan, Brooklyn, and the Statue of Liberty. Although the views are nice during the day, twilight and after dark are also popular times to visit. Be sure to dress appropriately as it can get cold and windy up on the bridge. 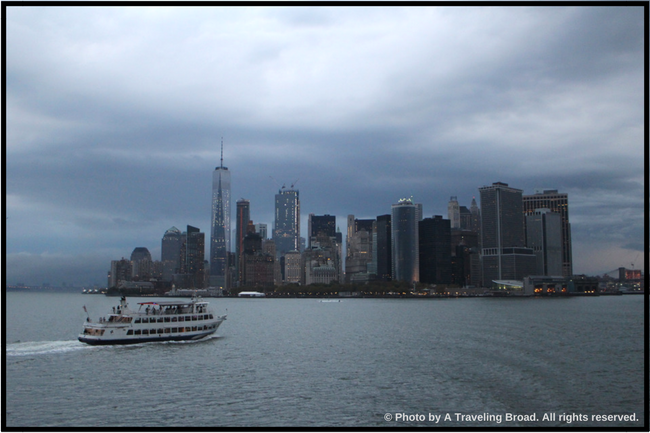 The Staten Island Ferry runs 24 hours a day. It doesn’t cost anything to ride, making it very appealing to tourists, as it offers amazing views of lower Manhattan and the Statue of Liberty. Each leg of the ride lasts 30 minutes and passengers must disembark at the end of each leg even if they want to ride round-trip. For a relaxing ride, avoid the busiest commuter times such as early in the morning and early evening. BONUS TIP: If you want to spend some time on Staten Island and eat an amazing meal, check out Enoteca Maria, the restaurant with meals cooked by international nonnas (grandmas). Yum! 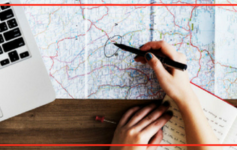 If hope this list of low-cost and no-cost things to do and see in New York City helped you see that a visit doesn’t have to cost a lot. Have you been to NYC? If not, do you think you’ll go after reading this post? Please share your thoughts in the Comments below. Awesome New york guide on a shoestring budget Amy!! Thanks for all the valuable information. Glad you liked it, Jane! I had a blast when I went there and hardly spent any money at all. I missed a few places I wanted to go, so there will be a follow-up post of still MORE things to do & see on a budget (be on the lookout!) Thanks for reading!